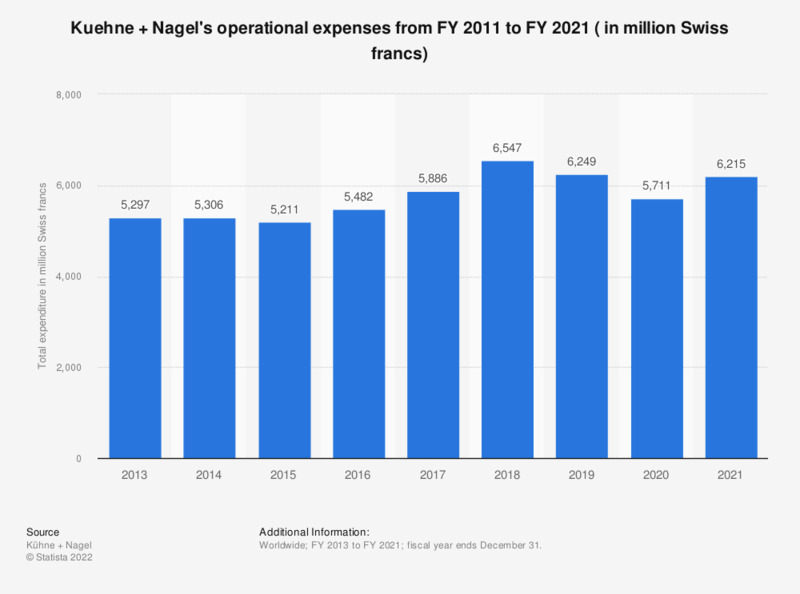 This statistic shows Kuehne + Nagel's operational expenses between the fiscal year of 2013 and the fiscal year of 2018. In the fiscal year of 2018, the logistics company reported operational expenses to the value of over 6.5 billion Swiss francs. The figures through 2015 were taken from previous annual reports. One Swiss franc is approximately equal to 1.0163 U.S. dollars (correct as of December 31, 2018).